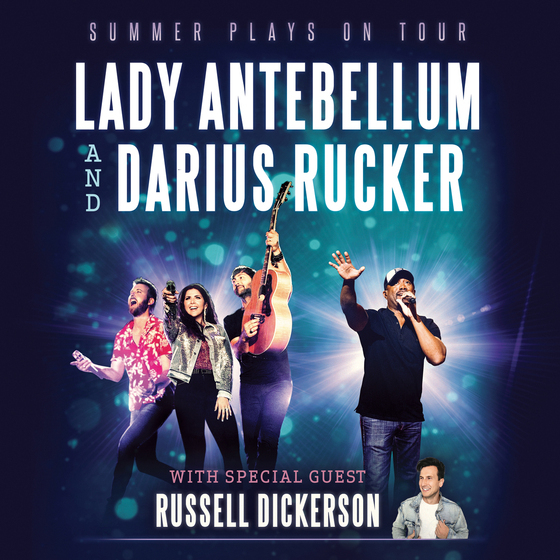 After years of friendship and months of preparation, three-time GRAMMY award-winner Darius Rucker and seven-time GRAMMY award-winning trio Lady Antebellum launched their co-headlining Summer Plays On Tour to a deafening welcome in Toronto, Ont. (7/19) and Cuyahoga Falls, Ohio (7/20) this past weekend. With what The Plain Dealer called “one of the biggest mainstream country pairings of the summer,” Cleveland Country Magazine noted that it is “hard to imagine who’s having more fun at the show — the fans or the acts on stage” with a playlist-worthy set spanning over 20 No. 1 hits between the two. Today, PEOPLE.com shares an exclusive behind the scenes photo gallery highlighting Rucker and Lady A’s opening weekend as the run continues thrilling audiences across the U.S. all summer long. After wrapping the first two nights of the Summer Plays On Tour, Rucker and Lady A temporarily parted ways as the trio headlined the Darien Lake Amphitheater in Darien Center, N.Y. (7/21) where the Buffalo News noted that from “the lawn to the front row, a crowd jammed into the venue.” Meanwhile, Rucker reunited with his Hootie & the Blowfish bandmates for a one-night only performance in Atlanta, Ga. The tour continues Thursday, July 26 in Bethel, N.Y. at the site of the famed Woodstock festival, with 29 additional dates through October. 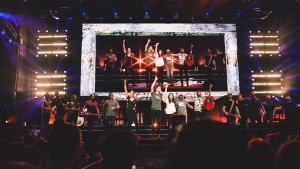 Audio / Charles Kelley of Lady Antebellum talks about opening weekend of the Summer Plays On Tour. 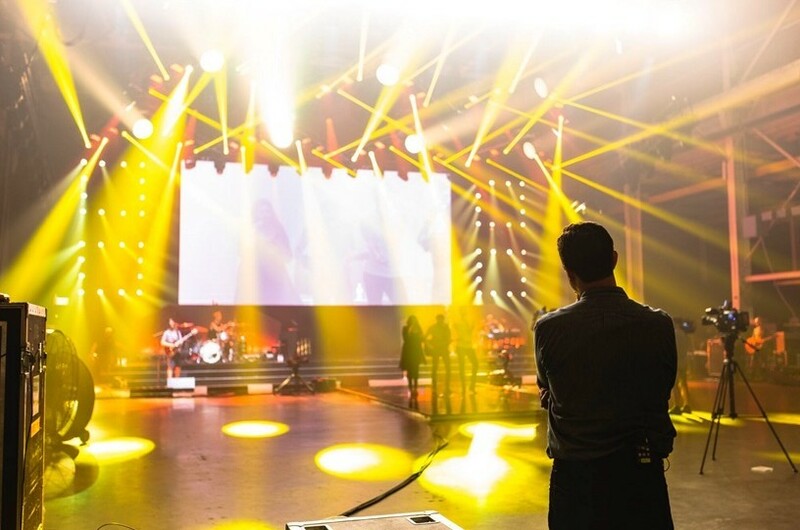 LADY ANTEBELLUM AND DARIUS RUCKER PREP A SHOW YOU WON’T WANT TO MISS ON THEIR SUMMER PLAYS ON TOUR. 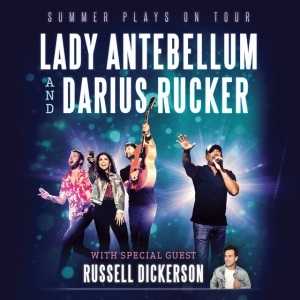 Lady Antebellum and Darius Rucker launch their Summer Plays On Tour Thursday night (July 19th) in Toronto, Ontario, and there will be lots of collaborations between the two superstar acts, especially since they’ve recorded and written together. 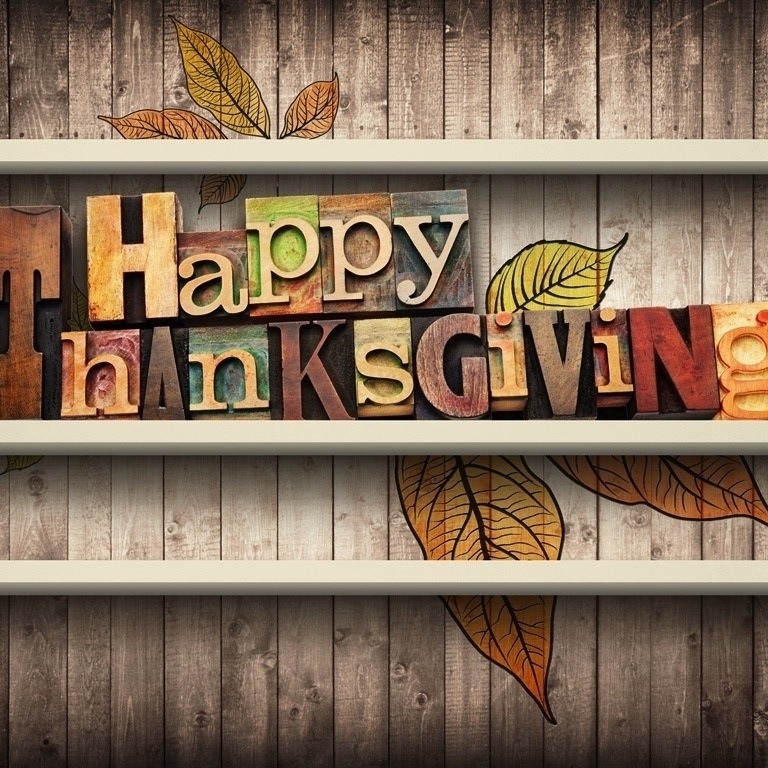 Those moments and many others you’re not going to want to miss. You might want to take a potty break or invest in adult diapers before either of them hit the stage…just in case. Audio / Lady Antebellum’s Charles Kelley says the Summer Plays On Tour with them and Darius Rucker will be a show you won’t want to miss. LADY ANTEBELLUM PROFILED ON NBC’S SUNDAY TODAY. 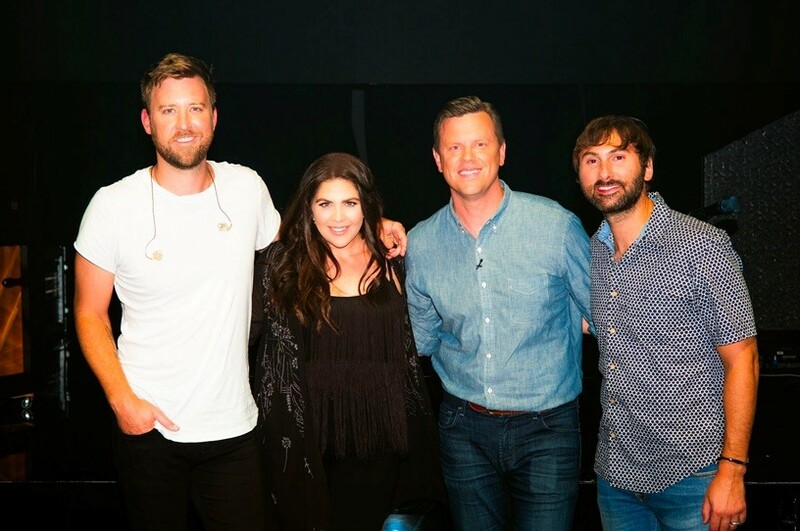 Before hitting the road for the first time in 2018, journalist Willie Geist will sit down with seven-time GRAMMY award-winning group Lady Antebellum for NBC’s Sunday TODAY (July 15th) at 7:00a CT from tour rehearsals in Nashville. 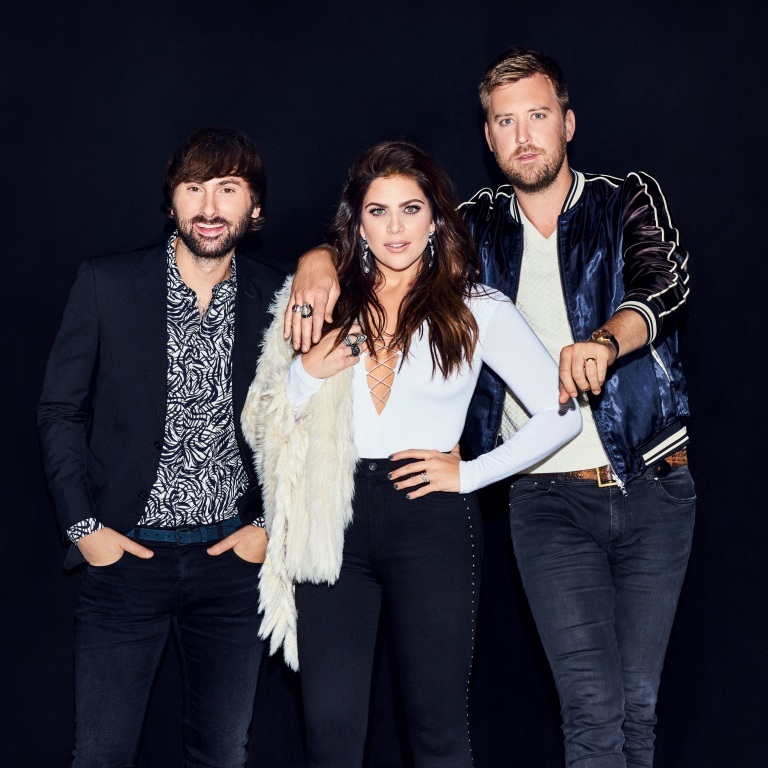 Before embarking on the SUMMER PLAYS ON TOUR , Hillary Scott, Dave Haywood and Charles Kelley extensively reflect on their whirlwind, decade-long career including the ups and downs that have come along with their record-breaking success. 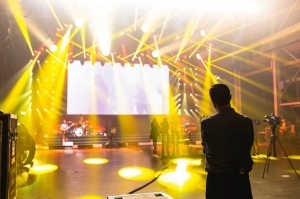 While discussing Lady A’s chart-topping radio hits, critical acclaim, award show accolades and growing families, Geist will take fans behind-the-scenes of what preparation is like for a major amphitheater tour. Fueled with anticipation for the joint headlining tour with Darius Rucker kicking off next Thursday (July 19th) in Toronto, ON, the friendship-fueled run will continue through the summer with opener Russell Dickerson. Lady A’s pulsating Top 15 single “Heart Break,” serves as the title-track off their No. One selling sixth studio album and follows more than 18 million album units sold. 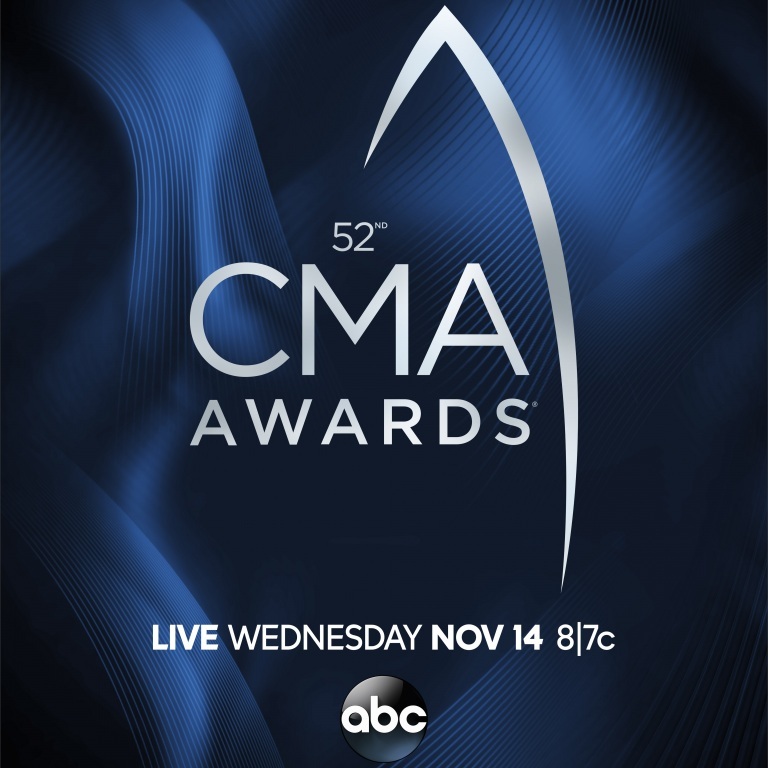 The multi-PLATINUM selling band has earned ACM and CMA “Vocal Group of the Year” trophies three years in a row and countless other honors including seven GRAMMYs, Billboard Music Awards, People’s Choice Awards and Teen Choice Awards. For more information visit www.ladyantebellum.com. LADY ANTEBELLUM HEADLINES TODAY SHOW’S SUMMER CONCERT SERIES. Lady Antebellum headlined the Today show’s Citi Summer Concert Series on Friday (July 6th). They performed their latest Top 15 hit, “Heart Break,” “You Look Good” and “I Run to You.” Check out the videos below. The trio will kick off their co-headlining Summer Plays On Tour with Darius Rucker July 19th in Toronto.